- New Feature: Dual Profile System that allows saving and loading MCM settings as well as saving and loading Customized Killmoves. Jcontainers is required for this feature to work, it is included in the VioLens Installer. - New Camera View, Static Cinematic: 3rd Person Camera View will trigger only on the final enemy, Static Camera will play the rest of the time. - New Menu, Camera Setting: Allows Slow Motion to be disabled/enabled for the following 3rd Person Camera Views: Vanilla, 3rd Person, 3rd Person Last, Smart, and Static Cinematic. 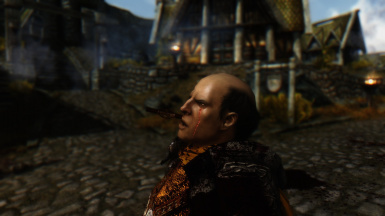 - VATS toggle has been relocated into the Camera Setting Menu. 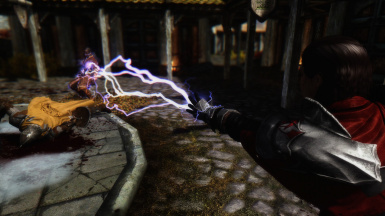 If VATS was previously disabled, it will have to be re-disabled. - Reset buttons optimized to reset faster. - Reset button on the Profile System Page will reset settings on all pages. When not on the Profile System Page, Reset button will only reset the current page. 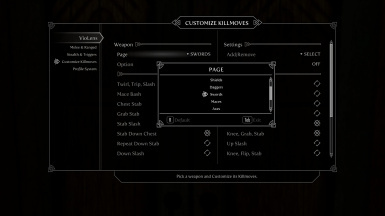 - Add/Remove All button on the Main Customize Killmoves Page now Adds/Removes Customized Killmoves for every weapon. When on a specific weapon page, Add/Remove All button only Adds/Removes Killmoves for that weapon. - Information section on the Profile System Page will show if JContainers is installed, what version is installed, and whether or not that version is valid with VioLens 2.1+. 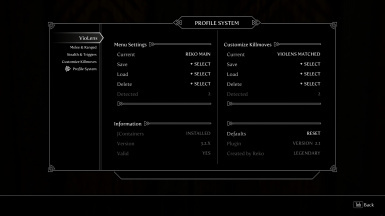 - 3 Premade Customize Killmove Profiles have been included in the VioLens Installer: Vanilla Defaults, VioLens Matched, and VioLens Mixed. - Set Killmoves to On: Customized, then head to the Customize Killmoves Page and select Killmoves to add and remove from weapons. - Added Back Killmoves toggle to switch between Matched and Mixed when using Customized Killmoves. - Added Creature Killmoves toggle to switch between Matched and Mixed when using Customized Killmoves. 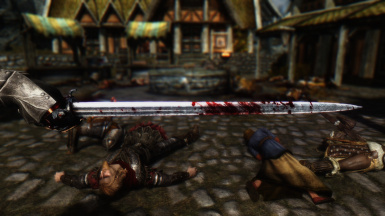 - Added NPC's Killmoves toggle to switch between Matched and Mixed for NPCs while You use Customized Killmoves. - Added Add/Remove option to allow adding or removing all Killmoves for the currently selected weapon. - Added Debug Toggle for Customized Killmoves. - Changed Reset button to only reset features on the page you're on. - Reset button on Customize Killmoves Page only Resets the 4 toggles on the same page, it doesn't remove Killmoves. 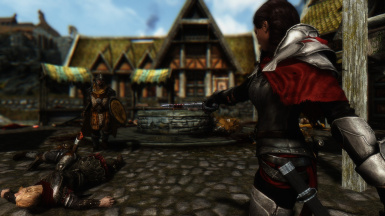 - Updated Requiem Patch to 2.0, Customized Killmoves require the appropriate Requiem Weapon Perks to trigger. 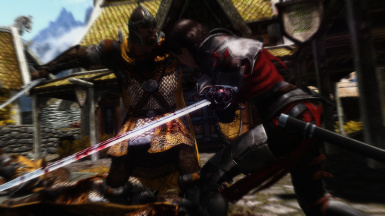 - Added Mixed Killmoves, killmoves will be a mix of different weapon types. 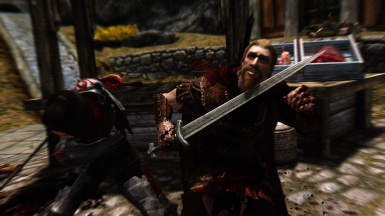 - Removed 3 BattleAxe/Warhammer Killmoves from "Matched Killmoves" due to them actually being Greatsword Killmoves and not working consistently. - Requiem Patch rebuilt in a manner that no longer requires 2 separate versions. - bdisableVATS = 0 no is longer forced, allowing users to disable VATS. - Ranged section will now be greyed out if VATS is disabled. - CDO Compatibility now built into the main scripts. - Ranged section will be greyed out and say "CDO Mode" if CDO is installed. - SIC Draman compatibility bug fixed. 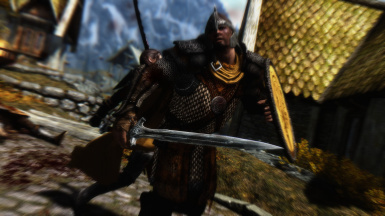 - Fixed left hand sprint attack bug caused by Dragonborn DLC. - Added Requiem Dawnguard Patch. - Added Requiem Legendary Patch. - Added Stealth Killmove Chance. 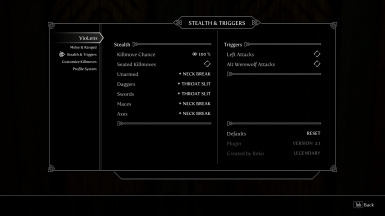 - Added the ability to choose which Stealth Killmoves will trigger for specific one-handed weapons. 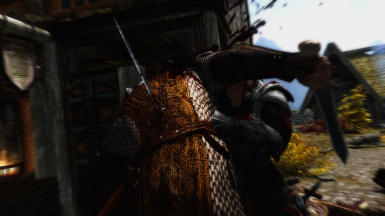 - Alt Werewolf Killmove Triggers renamed to Alt Werewolf Attacks. - Left Attack Killmove Triggers renamed to Left Attacks. 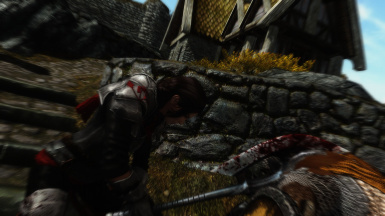 - Left Attacks and Alt Werewolf Attacks placed under new Triggers Section. - Hotkey functionality will change based on the Selection Mode being used, Automatic/Manual. - Fixed hotkey to no longer work when game is paused. 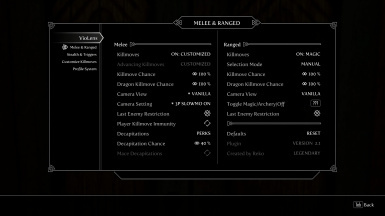 - Melee and Ranged Killmove Chance Sliders can now be set to 0. - New Camera View, 3rd Person Static: A simple 3rd Person View Camera with no angle changes or slow motion. - New Camera View, 3rd Person Static Last: 3rd Person Static Camera will only play on your final enemy. - New Camera View, Smart: Killmoves will match whichever camera view you're using. - New Camera View, Smart Static: The 3rd Person View will use the Static Camera. 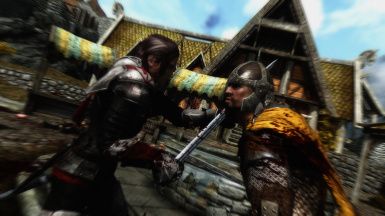 - 1H Sword/Dagger Killmoves that caused massive clipping when wearing a shield will no longer trigger when wearing a shield. 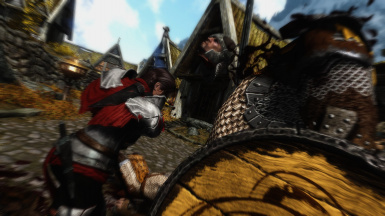 - Fixed Dragon Killmoves on the player and NPCs not being disabled when setting Killmoves to Off. 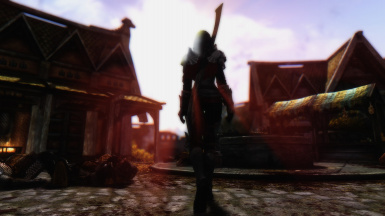 - Added Dawnguard Only plugin. 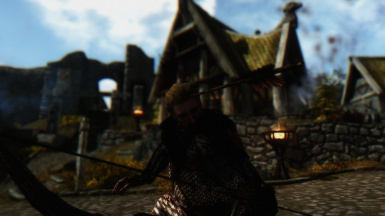 - Added Dragonborn Only plugin. 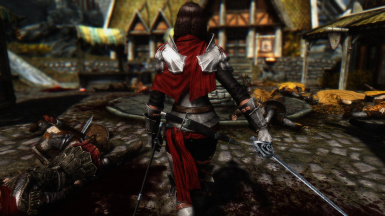 - Added Armored Skeleton Killmoves for Dawnguard and Legendary Plugin. - Fixed bug that could cause Back killmoves to play at low percentages regardless of your position. - Added Spanish and Italian Translations to the Main File.